The great news today is that several cards arrived by Wednesday and in good order. MJ and I made a quick trip to the main post office on Boeing so we could send off my Valentines package for remailing by the post office in Valentine, Texas. The package holds addressed and stamped Valentines cards. 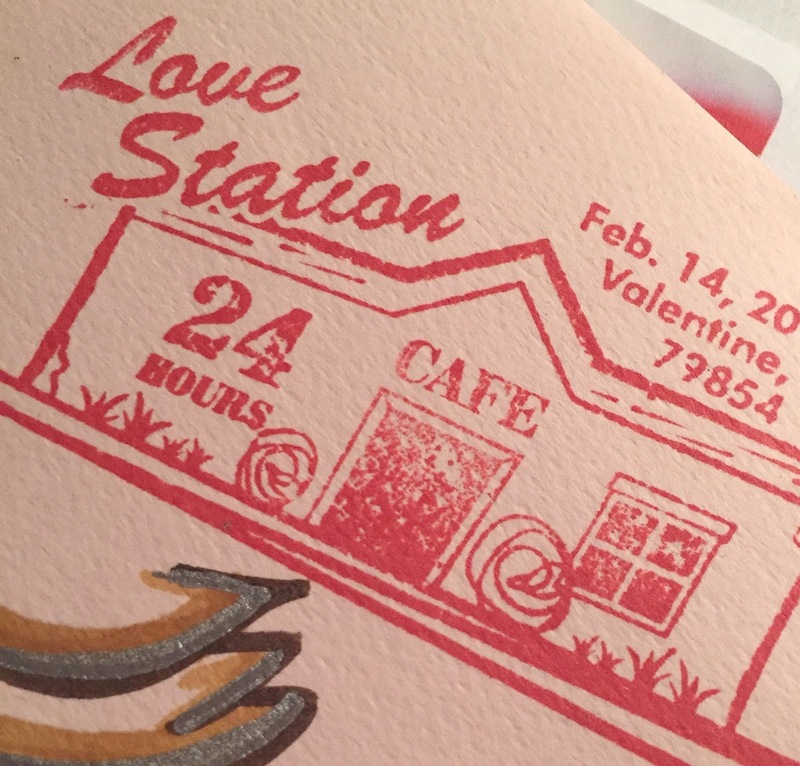 Once there, the Valentine Postmaster will, as a courtesy, hand cancel your stamped envelopes, and then remail your letters/cards to the addressee from their station on or before Valentines Day. This is something that keeps the little station on the map. In 2012, the USPS threatened to close the office, but too many people shouted it down. Quietly, the idea was dropped. This is but one example of how how speaking up and making a noise about a potential change in public policy can sway or at least awaken elected state and local representatives. 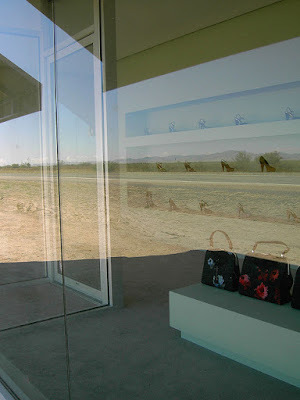 Valentine, Texas, is on the road to Marfa, near the Prada Marfa sculpture. To get there, drive east from El Paso on I-10, and exit East onto US-90 at Van Horn; from there, continue 36.5 miles to the sculpture. Valentine the village is there, too, but you would be hard pressed to see it. 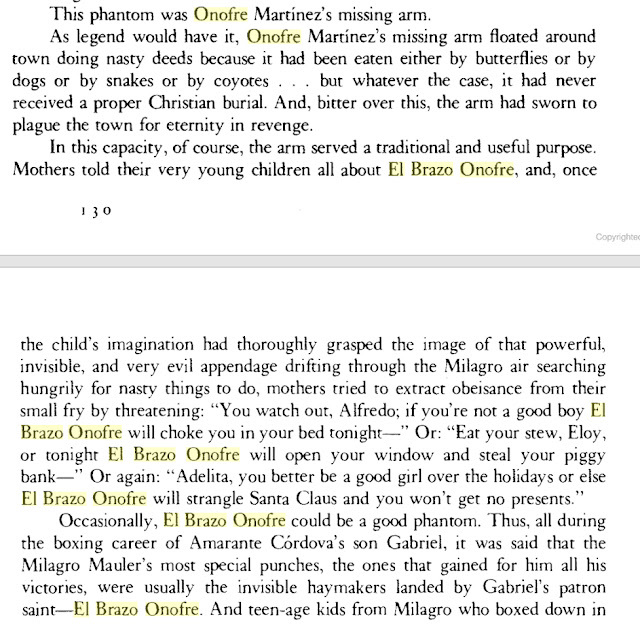 From there, you can continue on to Marfa proper and stop for lunch. The Prada Marfa sculpture is 2 hours and 20 minutes from the UTEP campus.Unfortunately, my Valentines went out late Sunday afternoon, and may not make the remailing on time. Here's hoping the Valentines reach people with the special cancellation applied. Shown above is last year's cancellation. The other image is of the Prada Marfa, an example of a “pop architectural land art project." has been covered. Rest assured, they arrived safely. 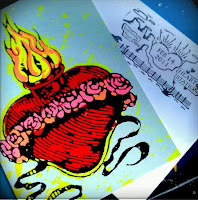 Protocol for sending any remailing Valentine includes a "thank you" card addressed to the postmaster or postmistress. 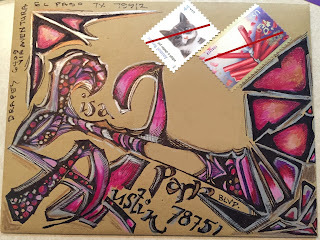 In the art mail community, you also should add more postage as a thank you to the local and delivery postal workers who will decipher the envelopes. 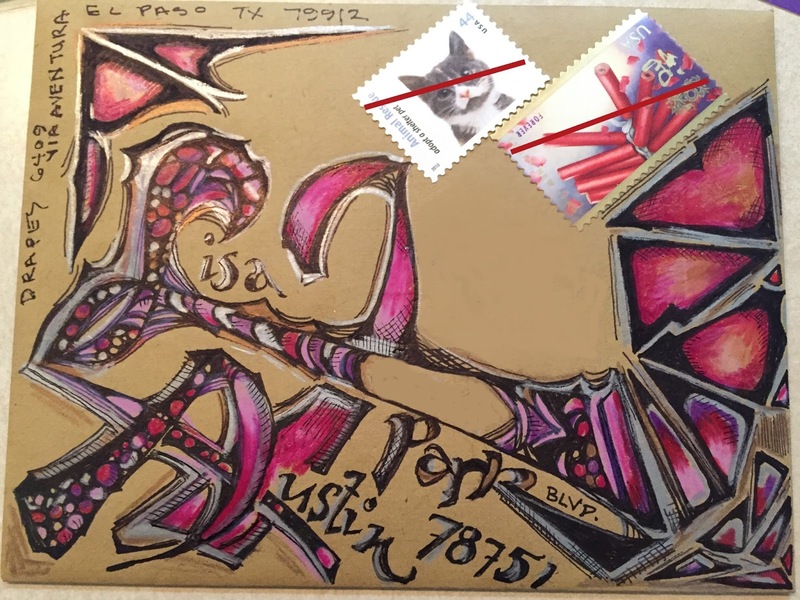 This linked article, by the way, provides a lot of information about sending artistic envelopes and includes many inspirational examples. I grovel at their feet. 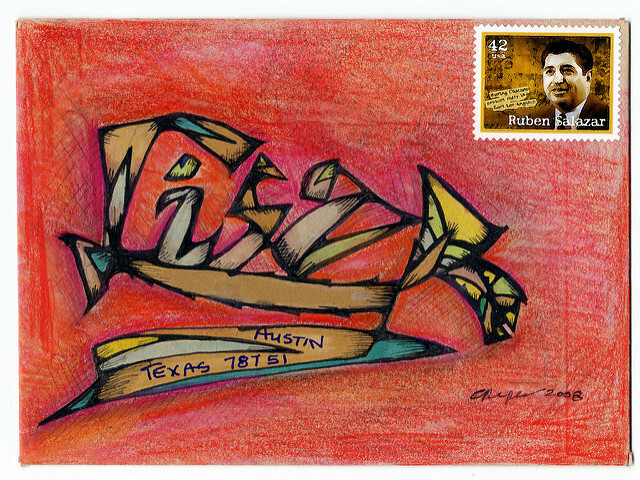 As far as these sorts of embellished envelopes go, it has not been decided whether or not postal workers like or hate processing/delivering them. But, from what I've heard, at least one postal worker likes the mail that my friend in Austin receives.